The Simply Moleskine is an official partnership with Moleskine worldwide for over 15 years to create customized Moleskine from Classic, Cahier Journals, Diaries Notebooks, with different options, Debossing, Foiling, Digital printing, Inserts, Screen printing and we can Package the Moleskines in A4, A5, A6. The perfect corporate gift! It is always the right occasion to create a Moleskine Custom Edition, whether you are organizing a training event for your employees, gifting your clients, partners or associates, communicating the launch of a new product or looking for ways to strengthen the identity of your brand. WHY CHOOSE MOLESKINE FOR YOUR CORPORATE GIFT? 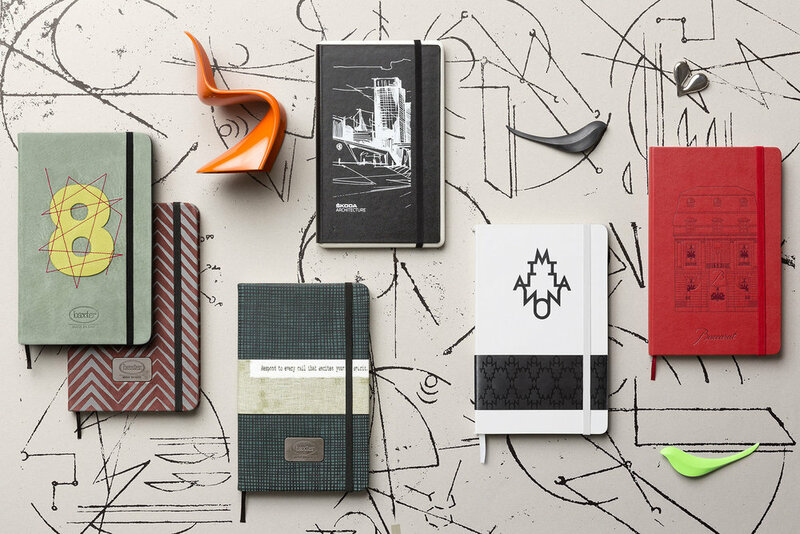 Moleskine is an iconic global brand with a rich cultural and artistic heritage that is synonymous with classic-contemporary design. The objects that it creates are not only well crafted long lasting premium and beautiful gift but also deeply tied to its values of personal identity, memory and imagination. Sign up below with your name and email to receive news and updates.